On January 27, 1927 the Chicago Tribune reported that foundations were being sunk along the Chicago River at Chicago Avenue as the Wells Brothers Construction company began the eight-story administrative building for Montgomery Ward & Co. 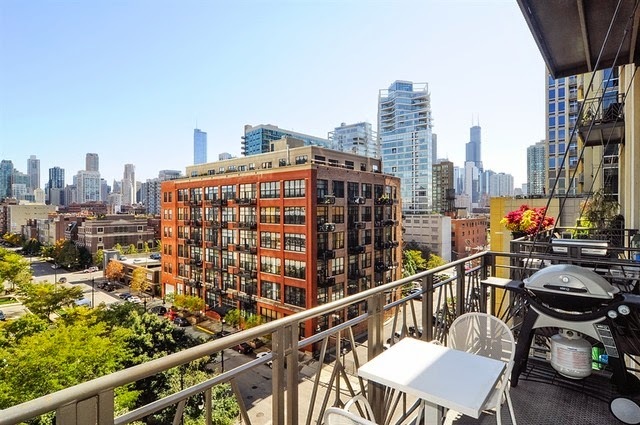 Although the firm’s founder had been dead for 13 years, he had purchased the 160 foot by 320 foot lot at the same time that he bought the lot to the north where the huge warehouse building at 600 West Chicago was constructed in 1908. For information on the 1908 building you can look here and here. A retail store filled the ground floor of the structure with clerical offices on the second and third floors. A large cafeteria accommodated employees as well as shopper. The executive offices for the chain store and retail store divisions were located on the fifth floor. The sixth floor was given over to the merchandise-buying group while the seventh floor contained offices for the catalog and general operating departments. 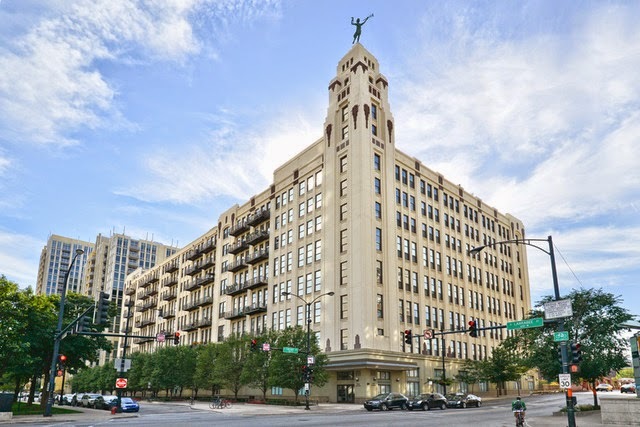 The eighth floor was set aside for the firm’s top executives with “walnut trimmed rooms, fireplaces, and the other perquisites of the ‘big shots.’” The structure, financed by a $2,000,000 bond issue, contained 450,000 square feet of floor space. A feature of the administrative center from its inception was a 12-story tower that would feature a statue called The Spirit of Progress. There is some misinformation that is heard from time to time about this stature, conceived by sculptor George Mulligan, that has it being moved to the top of the building after its display as Cirrus at the 1933 and 1934 Century of Progress World’s Fair. In fact, the website of the architectural firm that renovated the building in 2005, FitzGerald Associates Architects, claims this. 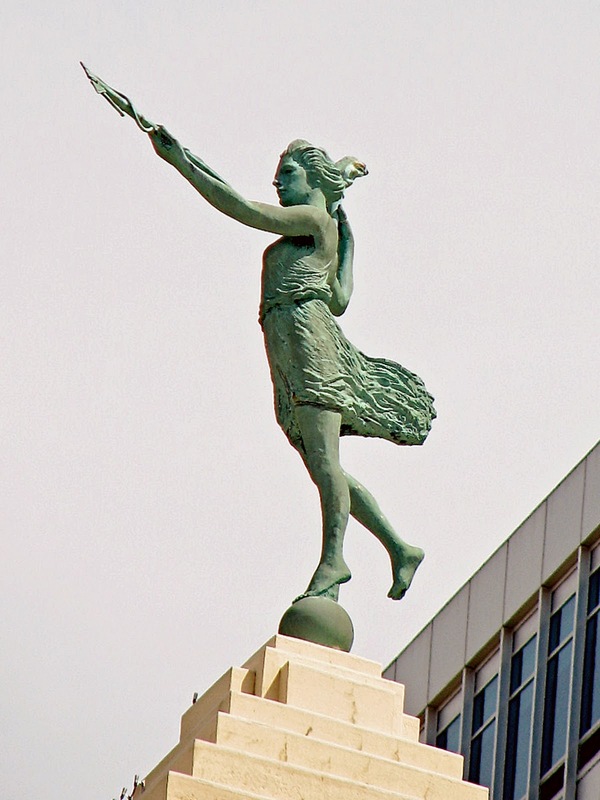 Another commonly held opinion is that the statue came from Montgomery Ward’s building on Michigan Avenue that was truncated by 13 stories and from which a weather vane in the form of a female figure was removed in 1947 for safety reasons. The statue, though, was discussed in the 1927 Tribune article, six years before the Century of Progress and 20 years before the statue on Michigan Avenue was removed. In the first decade of the new millennium FitzGerald Associates Architects developed a plan to convert the massive building into 241 condominiums with “luxurious penthouse units constructed in the former mechanical penthouse that feature nearly-unrivaled panoramic city views.” [www.fitzgeraldassociates.net] Two central light courts were created that soared from the second floor to the roof, a plan that turned unusable interior space into inward-facing units that even had their own balconies. 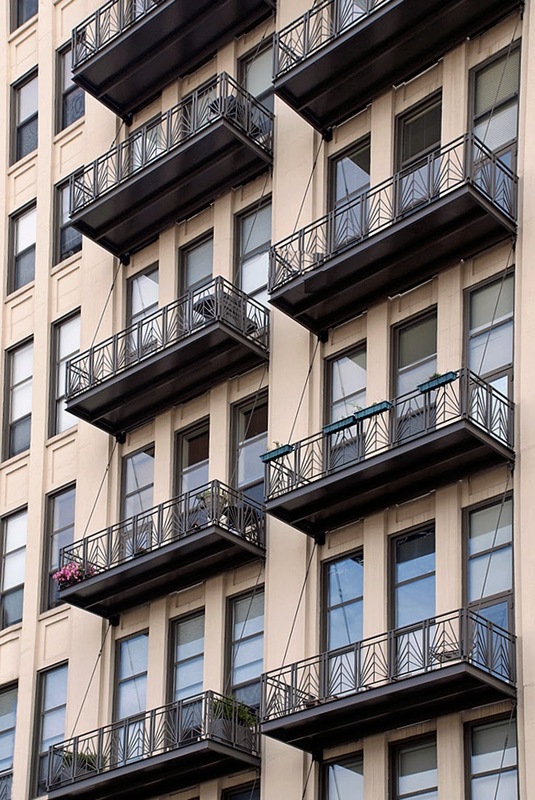 The addition of the exterior balconies, railings and window treatments on the arcaded river walk are understated art-deco reminders of the fact that the original building rose in the heart of the art deco era in Chicago. This building is very huge and interesting. If you need more advice, Gordon Rutty can help you in an effective way.